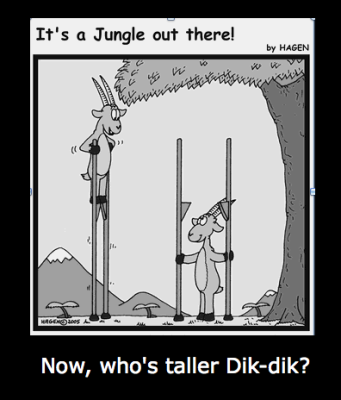 Royal Antelope vs Dik-dik: Does Size Really Matter? 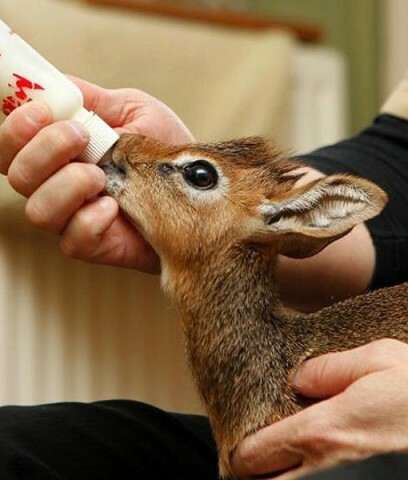 While the Dik-dik called Aluna is stealing the current animal kingdom's spotlight, it wasn't too long ago, the public and the Twittersphere went agaga over the birth of a Royal Antelope. So what's all this fuss about? Well, apparently miniature versions of larger breeds hold a special place in our hearts. Aluna, the Dik-dikBorn in early March at the Chester Zoo in the UK, Aluna was touted as one of the tiniest antelopes you'd ever see. She's about 8 inches tall now, and will grow to only 16 inches in total. But guess what? She's not the tiniest antelope you'll see today. Not to be confused with the Dik-dik, the Royal Antelope typically reaches only 12 inches at maturity, weighing in at only 10 pounds max. So in size, this little guy, born in captivity last year at the Tampa's Lowry Park Zoo is a half-pint compared to his sister species, the Dik-dik. Unlike the Dik-diks who live in monogamous pairs, the Royal Antelope leads a solitary and polygamous life, where the females live singly away from their mates. However, they do breed year-round, with seasonal peaks and usually produce a single offspring after a gestation period of six months. So while the Tampa Royal Antelope seems to be more of a recluse type of creature, her British counterpart Aluna (which means "come here" in Swahili) seems to favor the company of humans versus her own kind. After having failed to bond wither mother, zookeeper Tim Rowlands came to the rescue as a substitute mom. “Our little one is growing stronger and stronger... (and) it shouldn’t be too long until she‘ll be able to really hold her own. For the time being though her feed times are staggered through the day and she has her first bottle in my living room at home at around 7am. I then pop her into the car and bring her to work where she has another three feeds in my office. Finally, her last one is at 10pm back at my house," says Rowlands. 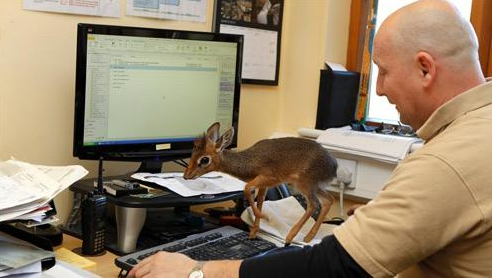 While the zoo will be her permanent home, Aluna seems right at home in the zookeeper's office, where she is free to prance across Rowland's keyboard and check out his computer monitor. 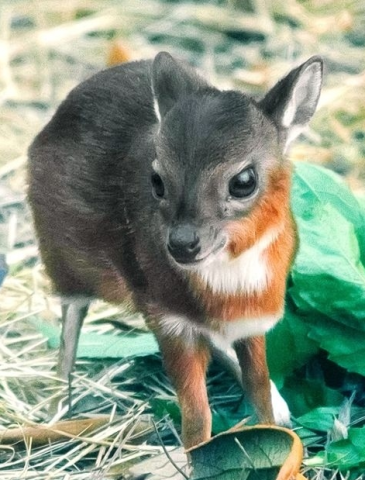 While the Royal Antelope hails from West African forests, the Dik-dik is native to Kenya, Tanzania and Namibia and gets its name from the noise it makes when running for cover. Dwarf antelopes engage in territorial scent marking and possess highly developed scent glands. They're considered browsers, consuming a diet of green leaves, fruit, and buds, and are usually not dependent upon regular supplies of drinking water for their survival. So, if size doesn't matter, reader, which mini-antelope do you favor? The shy one or the one with the British accent?